This entry was posted on February 2, 2010 at 7:21 pm	and is filed under columnists, Comm371, sports. 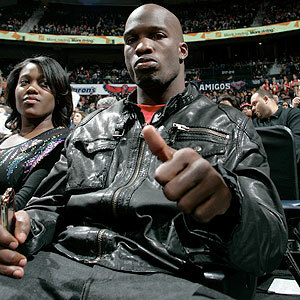 Tagged: Chad Ochocinco, social media, Super Bowl. You can follow any responses to this entry through the RSS 2.0 feed. You can leave a response, or trackback from your own site. My blogger this week wrote about Niagaras loss to St. Peters basketball team. He uses compound adjectives and some interesting quotes that lead the reader to be drawn to the story. I noticed though that he didn’t give the score to us. And while you say that most people who are interested in the teams will already know this. People like me who don’t live in the area don’t know what the score was. The alleged affair between John Harkes, former national team captain, and forward Eric Wynalda was an open secret in soccer circles. Harkes was cut from the 1998 World Cup squad as a result of the affair. Grant Wahl still does not let the coach, Steve Sampson, off the hook for the team’s first-round elimination. I agree with Wahl on Sampson’s culpability but Wahl should have been tougher on harkes. Wahl does not mention Harkes’ pattern of misbehavior, including missed curfews and poor attitude. Harkes got himself cut from the team because he fractured the locker room through his behavior. This week Bill Simmons did a mailbag. His mailbags consist of him picking out user-submitted e-mails and responding to them. He also gave his Super Bowl pick in the column. Simmons answers questions related to the NHL, NBA, NFL and MLB, while also having some pop-culture related questions. Simmons is a season-ticket holder for the Los Angeles Clippers, who recently removed Mike Dunleavy from his coaching duties. This made Simmons extremely happy, as he is not a fan of Dunleavy. An interesting non-sports related feature of this mailbag was an updated roster for the “Diane Lane All-Stars” – women who are over 40 and attractive. This week LaVar Arrington had several tweets about varying topics. The most recent being all the activity from his visit to the Super Bowl. He tweeted about his disbelief that the Saints had emerged victorious. During the game he praised the performance of Dwight Freeney. He also tweeted about two people that were formally a part of the Redskins organization that got Super Bowl rings on Sunday, Mark Brunell and Greg Williams. Bob Ryan’s latest column is about the New Jersey Nets, who are 4-44, coming into town to play the Celtics. Ryan compares this match-up to a day in 1973 in which the 42-10 Celtics were playing the 4-53 76ers. Although the Celtics pulled out a win in the final seconds, this game was almost a disaster. The Celtics ended up with a win over the Nets, but Ryan did not have a column on his afterthoughts. Dan Steinberg’s latest column is the ongoing feud between Clinton Portis and former Redskin Lavar Arrington. Portis believes that Lavar left the Redskins because he wasn’t making as much money as other star players on the roster. Lavar had no comment but he said on his twitter page that he would respond to Portis comments on his radio at 5:10pm today on 106.7 the fan. Martin Tyler has a weekly column on Sky Sports and started it off by comparing Wayne Rooney and Christiano Ronaldo. He showed stats that Rooney have not only scored more goals than Ronaldo, but also did so in less games while at Manchester United. Martin Tyler also answered questions of followers ranging from which teams have played the most years of top-flight football to which goalkeeper has the most clean sheets. So apparently, Sally Jenkins is taking a break from writing her column this week… (see above) I have been waiting all weekend and all day yesterday and into this morning hoping that the Post would have published a newer column from Jenkins than her take on the Tim Tebow ad last week. I’m commenting on her Twitter account. Again, because I don’t have Twitter, I don’t know if I have access to her most recent postings on the site. Or maybe she stopped tweeting for good that day? I’m running out of ideas, and time, to get this blog in on time. So to simply analyze this tweet I found for what it’s worth, I’d just like to say that the book she is talking about is actually the sports book I am reading for this class. Slightly ironic? With that said, I think Jenkins did a good job using her Twitter account as a platform for promoting the book “Lance: The Making of the World’s Greatest Champion.” It just goes to show everyone that using social networks to send messages gives one the capability to reach out to a significant number of people, from all ages and backgrounds. This week, Chad Ochocinco tweeted a lot on Facebook. He was constantly promoting his huge mansion party in Miami. He created a website (ochocincoparty.com) to invite and allow anyone who wanted to attend, to buy a ticket. After the party he guaranteed that Terrel Owens would be a Bengal next year. Before the party he did some work for OCNN by interviewing NFL players and associates. He said that his interview with Deion Sanders, is the best interview of all time. He also competed in a Madden video game competition, but I don’t think he did well because he did not update us on how he did. Lastly, he congratulated the New Orleans Saints for their victory. The deadline for posting your columnist/blogger/Tweeter comment and URL is and remains Tuesday at 1 p.m. ET. So, the deadline for this grade-point assignment has now passed for Week 2 with just nine of your participating. Disappointing to say the least. I will be posting the Week 3 post shortly. In one of his columns this week, Gene Wojciechowski wrote about why he thought the Indianapolis Colts would come away victorious in Super Bowl XLIV. His article kept me interested because he lists 15 reasons as to why Indianapolis would win, some of which were humorous. Furthermore, every point that he made in favor of Indy, he offered rebuttal as to why the Saints might have come away victorious. For example, Wojciechowski mentions that the Colts wouldn’t be bothered if were favored to win by two field goals. The Saints have a big chip on their shoulder, and no one thought they would be in the Super Bowl by the end of the year. Wojciechowski predicted that the Colts would win by the score of 28-21. Obviously, he predicted incorrectly. This week Matt Mosley talked about Portis. Earlier in the week Mosley blogged about how Portis decided to stay with the Redskins. Now Mosley is talking about Portis in general as apart of the team. Clinton Portis said that when he played with the Broncos he had fun. As soon as he came to DC he felt like everything was about money. Portis hinted that the reason Arrington and Coles left was because of him. Was that really reason? I think not. Last week, Henry Abbott blogged about the injured All Stars. I thought it was interesting because of the high number of injured players participating in the All-Star Game. Out of the 24 players, seven of them are injured. He used bullets and bold lettering to grab the readers attention and get straight to the point. “State of the Yankees: Catcher” by Chad Jennings. Every once in awhile, Chad Jennings posts a blog about the state of the Yankees and talks about a certain player. This week he wrote about the catcher, Jorge Posada. He started off his blog with a quote from Posada. He didn’t use quotation marks, but instead italicized what Posada said. This was easier on the readers eyes and easily distinguishable from the rest of the article. He also wrote in a list-like form certain situations/scenarios that could happen, in which he bolded the words before the colon. It was interesting to see Jeff write about U.S. Men’s Luge. He needed to write an interesting article about an Olympic sport that most people do not know much about. It was hard for me to actually enjoy reading the article even after the recent death of Georgian Olympic luger Nodar Kumaritashvili and all the hype surrounding the sport right now. I look forward to reading Jeff’s next article. Hopefully the topic is NBA basketball. My columnist Ian Thomsen wrote about what potential buyer and sellers during the NBA’s midseason trade deadline. What interested me the most about the column is looking to see where my Washington Wizards stand in the buy and trade market. They were both considered buyers and sellers because they needed to sell contracts to clear salary cap space and they needed to buy because they need a new, fresh look for the team.